We’re watching very dynamic developments across every field in the market – including the restaurant business. What might have been good enough a few years ago is now considered archaic. Restaurant owners grab and hold on to every innovation that could be useful, profitable or simply attractive to a customer, for example, an online ordering system. 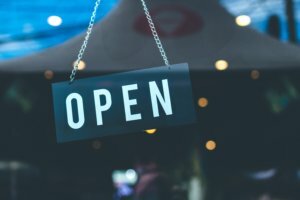 Before you decided to open up your own restaurant, you were probably thinking about all the profit your business could make. Nobody blames you for thinking that way, we all want to make our way to all those nice rewards for our hard work. What we have to keep in mind, however, is that there is always expense involved as well. 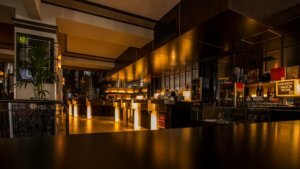 You have to invest in a lot of things for your restaurant before it can make any profit. There will be paycheques to cover, furniture to buy, and, of course, an online ordering system to get. Making these initial investments is not something that you can just do blindly. It doesn’t matter what you put your money into – an online ordering system or bar stools – you always have to ask yourself a few questions: is it going to give you any profit? How much would it be? How would it affect your business? Don’t just buy things – spend your money on what you really need as a restaurant owner, what will help your staff do their job well or what would your customers appreciate most. Since an online ordering system has been brought up several times already, it’s important for you to know why. One might think that it’s just an addition, sure, a profitable one, but not completely necessary. Not many restaurant owners realise that having an online ordering system is just as important as having chairs – they are both conveniences, ways to approach your customers. Just as your customer finds it useful, you’ll find it lucrative. Giving your customers the option to order food online is a huge step forward. It’s very important for many of them; they value convenience and they want to have alternatives when they just don’t feel like doing anything: neither cooking, nor going out. If you don’t believe this, believe the statistics. According to the latest research, nearly 2/3 of Americans use an online ordering system regularly and this trend is spreading worldwide. Making investments is not about putting in all your money – it’s about putting in as much as necessary and saving as much as possible. You can save by choosing an online ordering system such as UpMenu instead of using a food ordering portal. When you use the portal, you have to be prepared for the commission costs – these are inevitable. Well, that is unless you use an online food ordering system of your own. The market for online food ordering is growing fast – and that’s not just empty talk. The field is developing rapidly, the proof is in the numbers. Americans have already spent over $65 million on food delivery in 2018 and the forecasters predict that the annual growth rate for online orders will reach 10.7%, which will result in over $137 million being spent in 2023. You can be a part of that growth. If this online ordering system is such a must have, surely it must be complicated and hard to comprehend, right? If you think so, you could not be more wrong. Choose your online food ordering system wisely and you will be able to handle all of it with just a few taps on the screen or clicks on your touchpad. Implementing an online food ordering system for your business is a wise investment and will pay for itself in no time. As you have already seen, there are many advantages of using this online food ordering portal alternative. 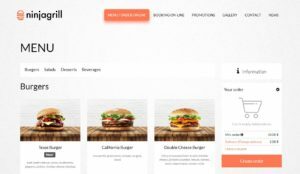 If your mind is already set on having an online food ordering system on your own, read the following article to find out more: Looking for food delivery portal alternative?